I decided to be a little naughty (what’s new?) and purchased the Chanel Le Blanc De Chanel Sheer Illuminating Base for my birthday about a month ago. I’ve been trying it out for a while now and can now give you my honest review on this product. 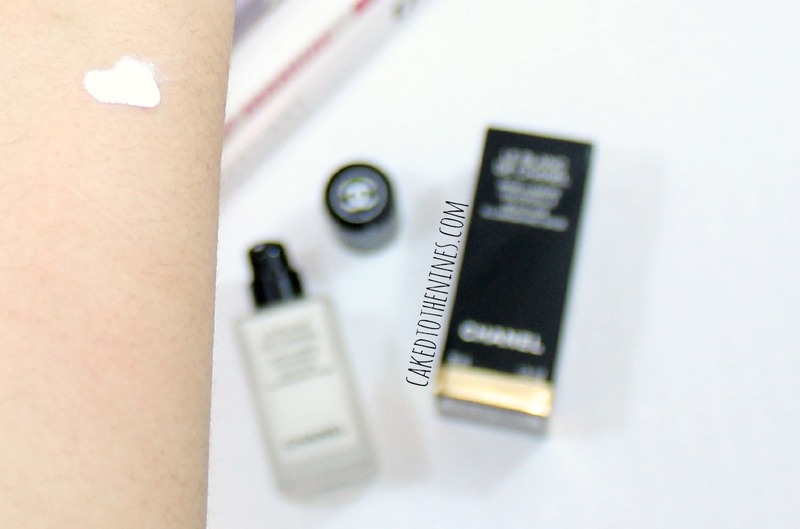 So, keep reading for my Chanel Le Blanc De Chanel Illuminating Base review. This base is supposed to be applied before your makeup as you would a primer, but it is also supposed to add some luminosity and illumination. You could also mix this in with your foundation to really amp up the illumination and add more radiance to the skin. It is officially spring, and summer is just around the corner, which means we all want to have that natural glowy look, and this will help you achieve that– especially if you mix this in with your foundation. I have combination skin and this doesn’t make me oily nor does it dry out my skin–I do moisturize before applying this, though; it adds just a tinge of luminosity and brightness. It hasn’t broken me out and it doesn’t feel heavy or thick on the skin, which is nice. If you have oily skin I don’t think this would make you more oily because it isn’t overly dewy or greasy. It kind of reminds me of MAC Strobe Cream, but less dewy, creamy and moisturizing. If you have dry skin, I would recommend mixing this in with your foundation to add more of an illumination. I don’t think this would work as well as a primer for you because it isn’t dewy or moisturizing enough. Unless you heavily moisturize beforehand, I don’t think this would glide on as easily as something like MAC Strobe Cream would because it has a creamier and more moisturizing formula that will add even more of a radiance to your skin. Regardless of your skin type though, this applies better when you have hydrated skin so don’t skip the moisturizer! Since this Chanel base isn’t overly creamy or dewy, it grabs on to makeup easily and makes it last longer. It does a good job at evening out the skin and blurring out any pores, which again makes it a great primer. If you want something that is overly highlighting then this is not for you. However, if you want to add a subtle radiance, this is great, and it leaves your skin feeling soft. Chanel’s Le Blanc De Chanel Illuminating Base. Because this comes in a glass bottle I do not think this is ideal for traveling. I personally do not like taking anything that comes in a glass bottle while traveling because it is just too risky– I talk more about some traveling makeup tips and why I don’t pack glass bottles when flying here. I love that this comes with a pump (I believe that this is a new feature because it did not come with one before) so it does make using this product easy and sanitary. As much as I wish this were more travel friendly, I do like the way this product looks and feels. It is weighted, which is something I like about luxury brands, and it is very sleek and simple. The Good | Illuminating, makes makeup last longer, blurs imperfections and fine lines, doesn’t make you greasy, weighted bottle, comes with a pump, luxurious. The Bad | Not ideal for dry flaky skin types, pricey, not travel friendly. The Verdict | If you’re looking for a sheer illuminating primer that makes your makeup last longer, this is a good one. I think this goes great underneath foundation and even when it is mixed in. I believe this is most ideal for combo to oily skin types. If you have really dry skin and want to purchase this then I suggest using a heavier moisturizer underneath this so it glides on easily or mixing it in with your foundation. However, I would still recommend MAC Strobe cream for anyone suffering from very dry/ flaky skin because it is like an illuminator and moisturizer in one. Chanel Soleil Tan de Chanel Worth the Hype? Have you tried this before? What is your go to primer? Let me know in the comments below!